Seriously? OMG! WTF?Babies Archives - Seriously? OMG! WTF? Kids react to their dads dumping the beard! Imagine you are a kid and you spent your whole life knowing your dad with a beard. Then one day, he decides to shave it off. How would you react? Kyoot compiled several videos of offspring reacting to their dads saying off with the spingy hairs on their faces. Almost every child cried hysterically. Although some got really mad at their pops. All I did was smile because they are all so cute. There is one kid that will just break your heart. You will know when you get to him because your eyes will be as red as his. BTW I think Jimmy Kimmel needs to do this and let’s see how Jane and Billy react to the new look. So if you need to smile, then press play. Because this video is 10 minutes of joy. Did this play into Jessica Jones cancellation? 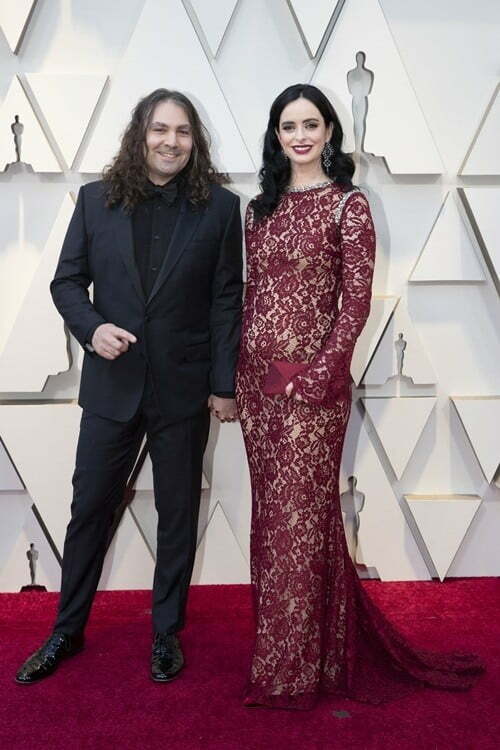 Krysten Ritter walked the red carpet with her boyfriend, Adam Granduciel, and there was something different about her. She has a bump. As in a baby bump. It was hard not to notice her growing belly in the skin tight scarlett lace dress. On that note, you have to wonder if her pregnancy played a part in the cancellation of Jessica Jones. It would obviously have to be delayed. Yeah, right. We know the real reason why it got the ax and it has nothing to do with her expanding. It has everything to do with Disney expanding into the streaming business. 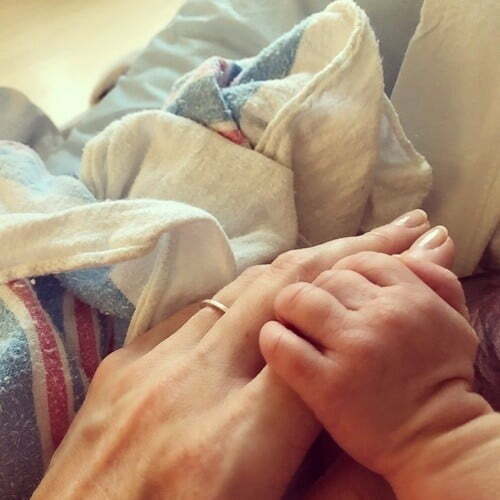 Bitsie Tulloch and David Giuntoli have a million little things to celebrate because they welcomed a baby girl, Vivian, on Valentine’s Day. The couple played lovers on Grimm. Then they actually became lovers in real life, got married in 2017 and parents this week. Who would have guessed a show about Grimm fairy tales would actually lead to an ending of happily ever after. Ever since I was big enough to get on rides at an amusement park, my dad took me on them. Therefore, they don’t scare me. I know that is just me and a few others. Which is why I always enjoy taking my friends on scary rides to watch them scream and curse at me. In fact, I have a huge smile on my face just thinking about that. I also could have that smile on my face because I just watching 10 minutes of kids going on scary rides for the first time, getting splashed on while watching water rides and just falling off of them. While it is not fun for them, it is the true reason we should take them to amusement parks. That is why they called amusement parks. They are there for our amusement and not the amusement of the children. If it was for children, then they would be called a scary wet place with sugary food. Amber Stevens West is happy together with her baby girl! Amber Stevens and her husband, Andre J West, welcomed their first child together. Ava Laverne was born on October 7th weighing 8 lbs., 9 oz., and measured 20½ inches in length according to People. Ava and her mom share more than just genetics, the two of them also share the same birthday. Talk about the best birthday present anyone can get. The proud parents met on Greek, started dating and got married on December 5, 2014. Since there are a few more episodes of Happy Together that were filmed before she had Ava, you should watch the sitcom Mondays at 8:30p on CBS to see how they hide her growing baby bump. I get a kick out of the interesting ways they do it. You should also check out the show because it is actually really funny. The proud parents met when they starred on Greek together, started dating and then got married on December 5, 2014. Stevens West’s father is radio DJ Shadow Stevens.